Times Like Those is mainly a film blog, and you’ll find lots of movie reviews and lists about various things that I feel like talking about. Feel free to leave comments on anything here, if you’d like. Just visited your blog for the first time, but i’ll be back. Very interesting choices and good award radar. Not wanting to whine… But the promised 2010 playlist is a little overdue and I have nothing to listen to at the moment. No hurry, but NOW would be excellent! I was helping my friend cast some actresses for his film, googling ‘up and comers’, so stumbled upon your great site! Thanks for bringing some people to our attention that we may have overlooked from the pictures and clips the casting agents send. You have really good taste in films and actors and since you have listed many of my favorite films as favorites, I wanted to recommend some foreign films and some old ones that maybe you haven’t seen yet, but that I think you would really like. You may have seen many of these already, so I apologize if you already have for belaboring you with stuff you already know. I’m just passionate about movies and like to share this stuff with others of like mind any chance I get. Anyway, here are some of my top recommendations, obviously there are many more, like I said, I’m obsessed with movies so could keep going for days. Billy the Kid and Pat Garret (Sam Peckinpah) One of my favorite Westerns of all time, Chris Christopherson is just so hot. Bladerunner (Ridley Scott) Such an unbelievably amazing classic. And thanks again for your great blog! Thanks for the kind words. Glad I could help a bit! I’m very interested in the process that goes into making a film, so to be involved (in a roundabout kind of way) in even a tiny part of that is neat. And I’m always happy to get film recommendations, so thanks also for that! The only one you mentioned that I’ve seen is Election (which I love), and there are a number that I’ve actually never heard of. I’m sure I’ll be looking into some of these films soon. The Believer is one that I’ve been curious about for a while now, so now I have another reason to check it out! I liked your “8 Biopics That Need to Be Made” post. I have another. Robert Blake as the elderly Picasso. 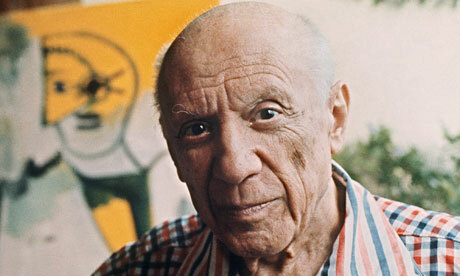 Focusing on the life and art of the artist in his final years.